Action Jackson Sports Tours has been offering quality race travel packages at affordable prices since 1988. 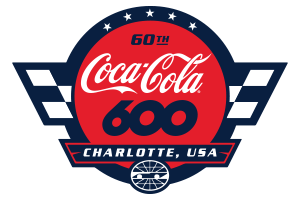 Our Charlotte Motor Speedway NASCAR travel packages include premium race tickets, a tailgate party, first class lodging with full breakfast daily, chartered bus transportation to Charlotte Speedway from your hotel, and experienced tour representatives onsite. We offer options such as Pit Passes, Scanner Rentals, the World of Outlaws race and more. We customize to suit your needs so you are not paying for items you do not want. Action Jackson Sports Tours also operates motorcoach tours from the southeastern Pennsylvania area to the races in Charlotte. There And Back Again Adventures began offering NASCAR Race Packages in 1988 and have hosted thousands of happy clients and are proud to be a Preferred Travel Partner of Charlotte Motor Speedway. Our customer service and our return clientele are what have allowed us to thrive over the years. Our NASCAR Packages include Great Race Tickets with upgrades available, First Class Hotel Accommodations, Deluxe Bus Transportation to the track, Knowledgeable TABA Tour Representatives, Optional Pit Passes, Scanner Rental and more.